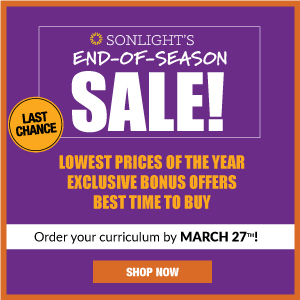 I read this article and wanted to share it with you: 7 Keys for an Extraordinary Education at Home https://blog.sonlight.com/extraordinary.html. 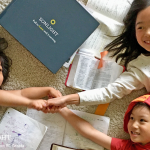 Parents choose to homeschool precisely because they want their children to excel and to make a place for themselves in the world. But many parents copy what the public school is doing, buying desks and a stack of workbooks. This method works very well for some children. But there’s so much more to education than what can be taught in workbooks or by sitting at a desk! 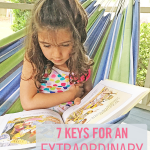 You can set your child up for an extraordinary education by going beyond the classroom and applying these seven keys. Children usually learn better through movement. Touch and exploration are vital to some children. Other children remember concepts better if they see them in action. 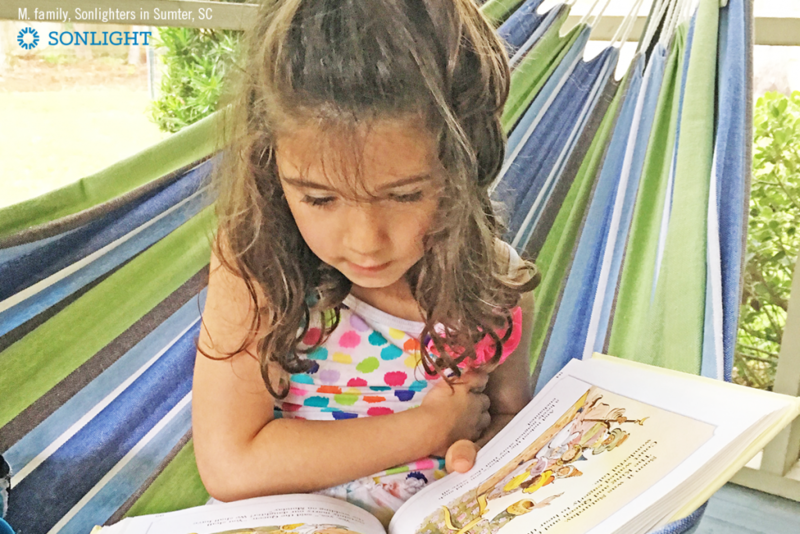 Allow them to climb, dance, jump, and tinker while you read to them. Let them stand on one foot while doing math, or hang upside down from the sofa while reading. Encourage them walk around while learning their spelling words. Have them sing their math facts and act out their Bible stories. Finger paint spelling words, write math on the sidewalk in chalk, and draw pictures of the stories from history! Art reveals a new dimension in learning. Let your child practice math by adding up the grocery tab as you are shop. Browse through library stacks for an afternoon. Seeing art in person at a museum has more impact than leafing through paintings in a book. Gardening with a neighbor teaches more about how plants grow than doing a worksheet on plants. A visit to the zoo floods the five senses with an experience of zoology. 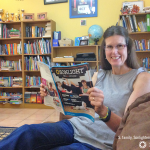 Local experts can teach your children to crochet or to play piano. Elderly neighbors love sharing stories about their lives—informal history lessons! Don’t feel pressured to fill every moment of your children's days with structured learning. Children need down time to process what they’ve learned. During the time they aren’t actively learning, their brains sort and store information they learned earlier. Allow your kids to get bored. Studies show that being bored stimulates creativity and problem-solving skills. Children will use their imaginations more and usually find their own ways to fill in that time. Instead of filling their time with activities and projects, try filling up some boxes to inspire creative play—a box of art materials or tinkering supplies. Study after study shows the benefits of the written word when it’s not sealed up in boring textbooks or dry texts. 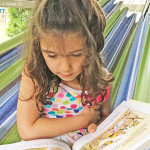 When a story is interesting, all kinds of new brain connections are formed, and children will incorporate new concepts often without realizing it. Set aside time for them to read about things that interest them, in addition to their regular assigned reading. But also take the time to read to your child. 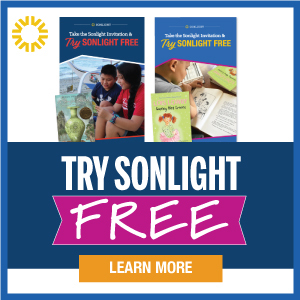 Sonlight will guide your children through hundreds of quality books that will almost effortlessly nurture their intellect. But don’t be afraid to branch beyond the curriculum and add books on any topic your family finds fascinating. Schools underestimate the value of play. Play isn’t just something children do when they have nothing better to do and they just run around wasting time. Children are not designed to sit still and do workbooks all day. Play is when children learn at their very best. Play increases fine and gross motor skills that will be used later for writing and for sports. It engages the portions of the brain required for STEM learning. Play promises a life-long love of exercise, improves a child’s health and immune system, and improves sleep. As often as possible, let children play outdoors or at least in an indoor activity center so they can get exercise. If your child isn't into history this week, but is on a science kick, you’ll find science is very easy to teach, but history isn't. By following your child’s lead, you can teach more information with less effort. You can incorporate other subjects into the ones your child loves. For example, if their current fascination is trains, you can have them multiply train parts, read stories about trains, write a research paper on types of trains, learn about the history of trains, and more. Of course, most parents won’t want to completely forget about the other subjects, but you’ll find that if you pay attention to what your child wants to know, they usually have a better attitude about learning about what you do want them to study. 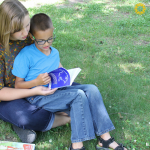 When you homeschool with these seven principles, you might find that part of your day will look like traditional schools. That's okay! One of the great things about homeschooling is that you are free to follow exactly what the school does, but you don’t have to. 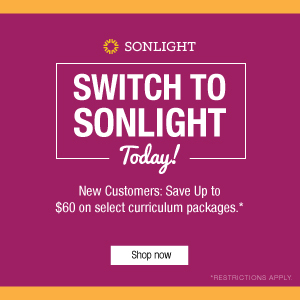 You are also free to choose an extraordinary education for your children when you homeschool. 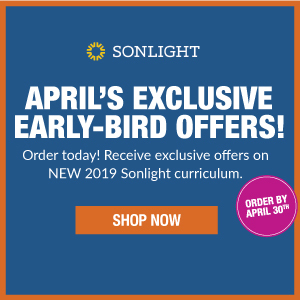 Choose an extraordinary curriculum for an extraordinary education.